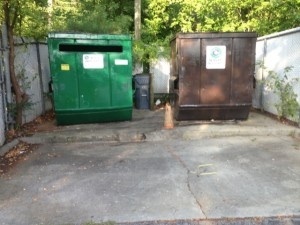 Dumpster pads are easily seen at many places of business. They are not only crucial for the disposal of trash and other waste, they also have just as much of an impact on the image of a business as the sidewalks and entrances. Of course, this essential area can be extremely unpleasant and dirty. 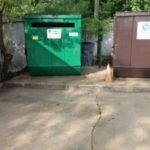 Not only should dumpster pads be cleaned frequently for aesthetic reasons, they also must be thoroughly sanitized to prevent infestation by bacteria, rats, and other pests. 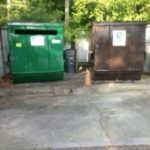 Seminole Power Wash will make sure that your dumpster pad is as clean as possible. Our expert professional team will make sure to eliminate all grime, dirt, oil and any other hazardous material. We can also remove any foul odors that are emanating from the dumpster pad. We use a specialized cleanser that disinfects and successfully removes nasty odors. The result? Your business can enjoy restored curb appeal and the peace of mind that your property is free of hazardous buildup. 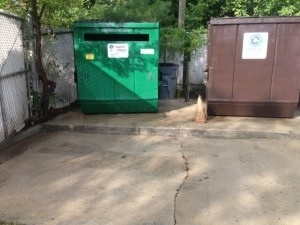 Dumpster pads are essential for any organized business… But just because they hold your trash, it doesn’t mean that they have to detract from the overall quality of your space. 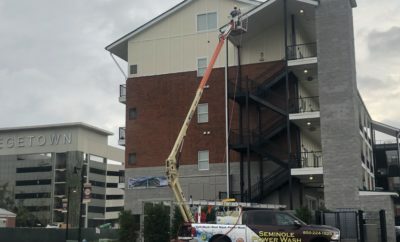 Trust Seminole Power Wash to give your property the effective treatment that is deserves!